Linen scarf inspired by Franz Mark artwork "Foxes", white background. 100% pure linen. 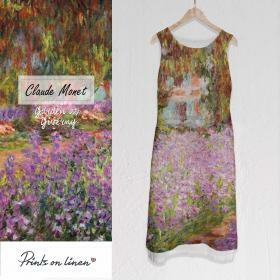 Size: 70 x 195 cm / 27" x 76"
Sleeveless long linen dress with deep pockets, from collection "Claude Monet". Printed on white linen fabric with eco friendly dyes, stonewashed. 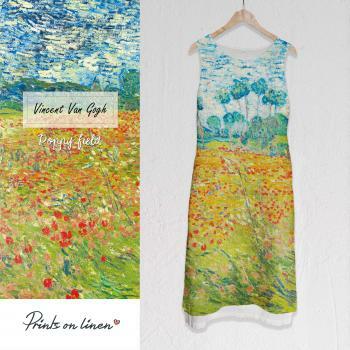 Sleeveless long linen dress with deep pockets "Poppy field", by Vincent van Gogh. Printed on white linen fabric with eco friendly dyes, stonewashed.